The cutest rabbit ever is sitting on a cloud watching a rainbow. 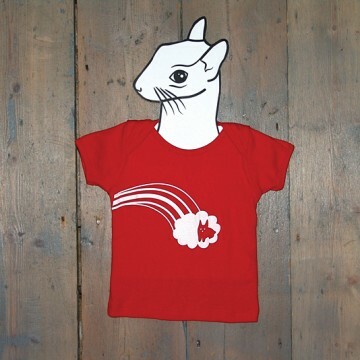 Created by Agathe Jacquillat and Tomi Vollauschek of London-based design studio FL@33 the Rabbit & Rainbow motif was one of the first to be screen-printed on T-shirts for babies, young toddlers and grown-ups alike. 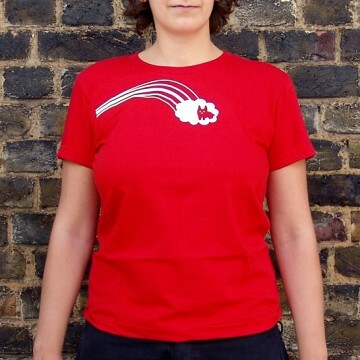 It was reprinted once and a few remaining items are now available via our Back Catalogue sale.